What’s New? | Shannon Winslow's "Jane Austen Says…"
1) I’ve been making steady headway on the new book. Yay! And I reached the point where I decided it deserved a page of it’s very own here on my site. Since the title is still a matter of some debate, it’s simply called Work-In-Progress for now. But that’s the good news: progress! Hope you’ll take a look at the new page. No one who had ever seen me in my early life would have supposed me born to be a novelist. My situation in life, the habits of my mother and father, my own person and course of education, were all equally against me. 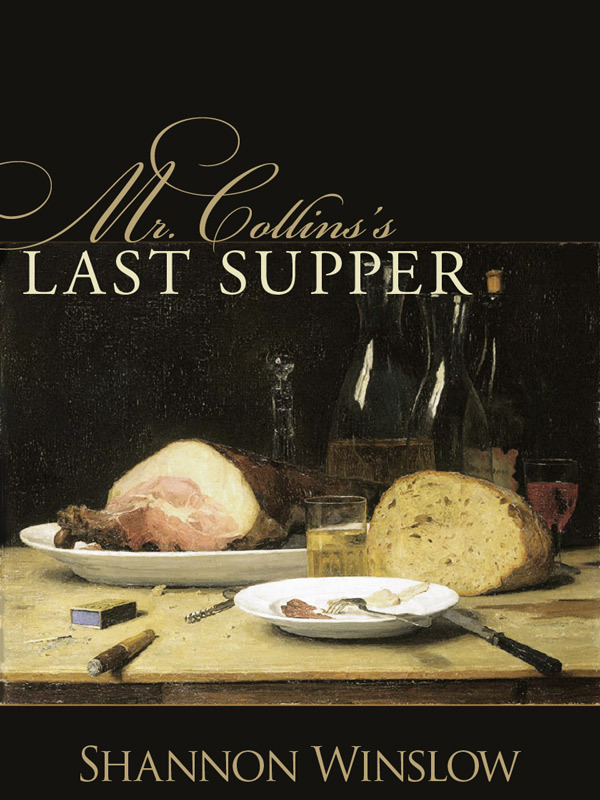 But when a lady is to be a novelist, the perverseness of forty different circumstances cannot prevent her. Something must and will happen to throw a novel in her way. The book giveaway is over now (sorry), but you can read the rest of the post here in case you missed it earlier. I’m sure Janet would love to have you drop by! 3) I recently gave my first newspaper interview! 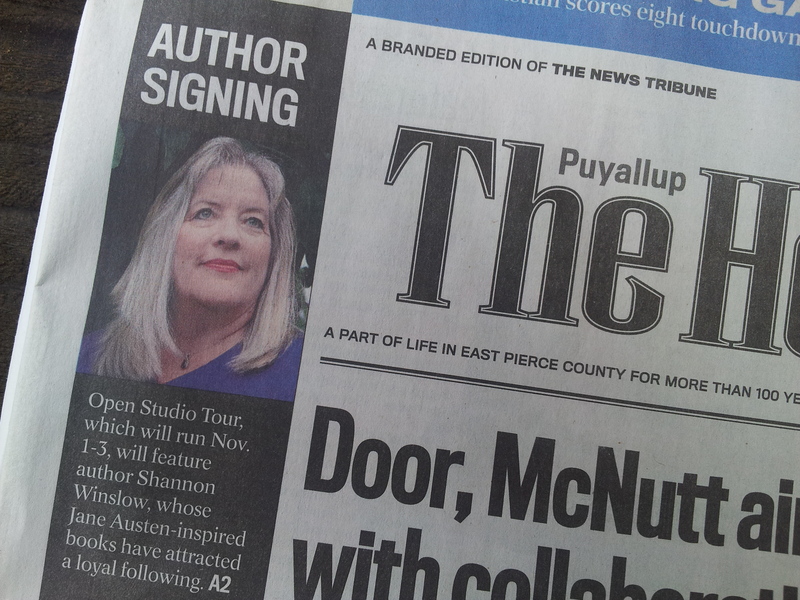 It was in promotion of a 3-day art event (the East Pierce County Open Studio Tour) coming up November 1-3, at which I’m being featured as a guest author. I’ll be doing book signing appearances at different locations each day, and I’d love to have you stop by to say hello. For detail of the event and my scheduled appearances, download the full brochure here. 5) As much as I’ve been enjoying my modest success, I also want to report on rubbing shoulders with authors who have risen higher. 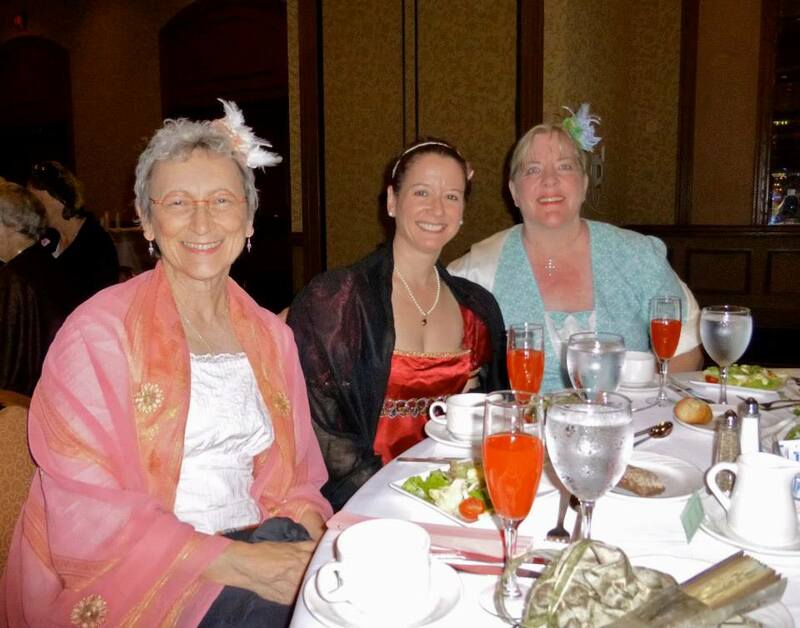 Fellow Austen Author Sharon Latham (whom I met in person for the first time last month at the AGM) has received a HUGE honor. 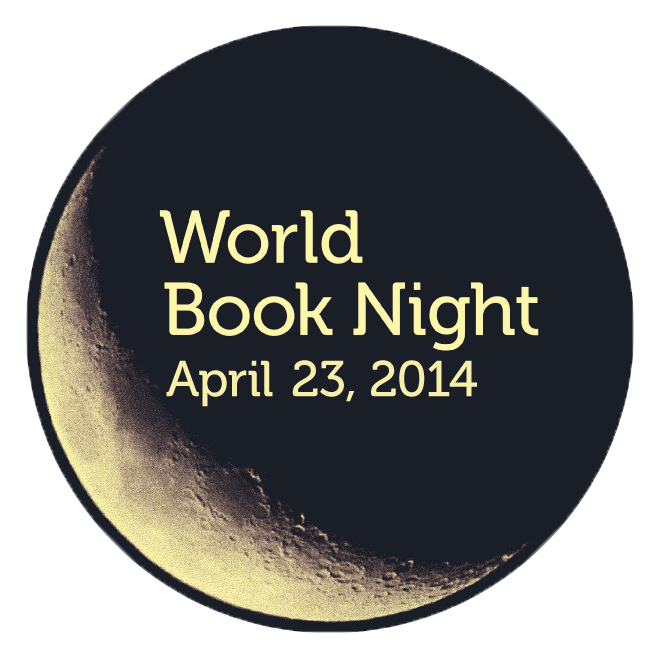 Her novel Miss Darcy Falls in Love has just been announced as one of the 30 World Book Night novels for 2014! (Read more about it here). This is a really big deal in the literary world, and represents not only an acknowledgement of Sharon’s achievements but also of the legitimate claims of the niche genre in which we both write. I celebrate with her! 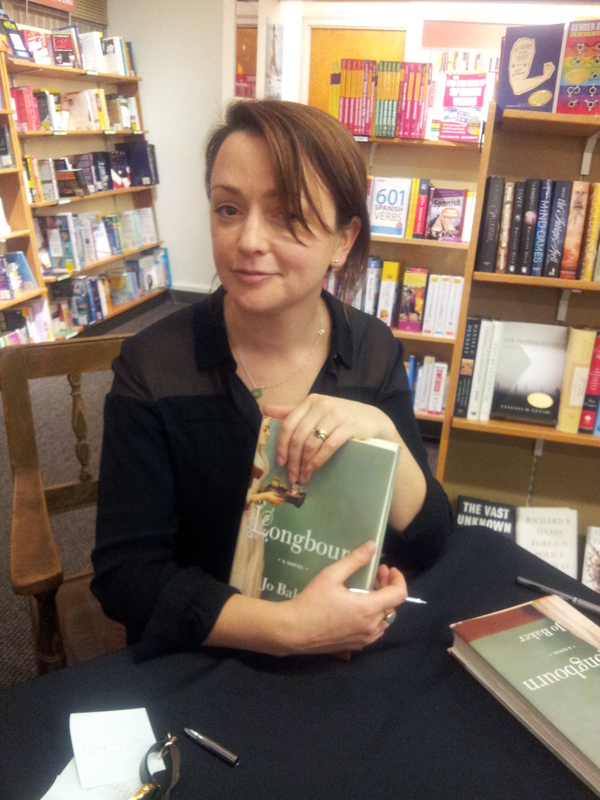 Finally, last night I got to attend a Seattle appearance and book signing by British author Jo Baker. 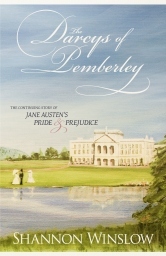 Her most recent novel, entitled Longbourn, is a “below stairs” account of events in Pride and Prejudice. In other words, what were the Bennets’ servants up to all that time? I haven’t finished reading the book yet, but I can tell you that it bears no resemblance to the experience of the gentlefolk above stairs. After the book signing, a group of us Austen types took Jo out to dinner before she flew off to her next appearance in San Francisco. It was interesting to hear her inspiration for the book (many of her family members worked in “service” in the past) and how successful it has become (she now has a movie deal too). I told her I just hoped to get some of her overflow. Since the titles of our books are so similar (Longbourn / Return to Longbourn), perhaps people will stumble across mine when they go looking for hers! That’s all my news for today. And now, I’d better get back to the piles of laundry that await me downstairs. I throw that little reality check in lest you think that the life of an author is all glitz and glamor! Sorry if that spoils any illusions for you. 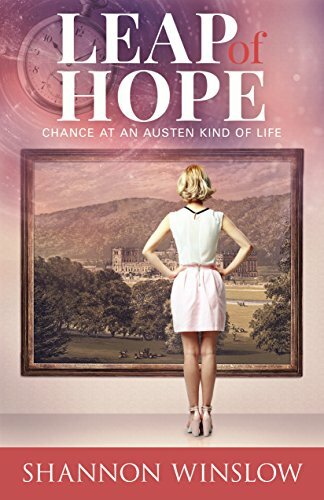 This entry was posted in art, blog hop, Jane Austen, Jane Austen Quotes, Shannon Winslow, Uncategorized and tagged audiobooks, Jane Austen, Jane Austen quotes, Janet Taylor, Jo Baker, Northanger Abbey, Open Studio Tour, Return to Longbourn, Sharon Lathan, World Book Night. Bookmark the permalink. What wonderful news! Congrats on the article and for making such great progress with your new WIP! And LOL about Jo Baker’s overflow! Yes, I hope many more people by Return to Longbourn, they will be in for a lovely treat! Thanks, Meredith! Jo said that’s how she heard of my book – when she looked up her book, Amazon suggested that she might enjoy Return to Longbourn too. Works for me! 1) Any kind of progress is good progress; as long as you have fun writing, it is all that matters!! 2) I enjoyed your spot over on Janet’s More Agreeably Engaged!! 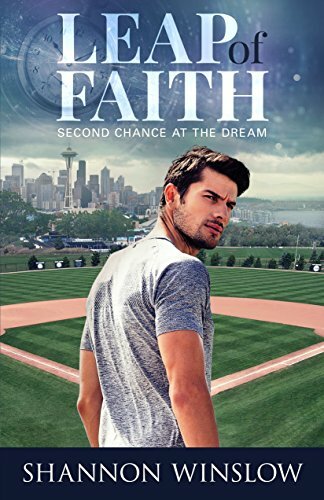 It is always interesting to hear how someone decides to start writing and becoming an author. Since I am not as talented, I am glad there are people like you that keep me enjoying my favorite pastime…. reading. It does help that you write about my favorite book and favorite couple!! 3) Congratulations on your first newspaper article!! I wish I could be there to see you but alas I am on the east coast so I will be content to just reread a couple of my favorite books, Darcys of Pemberely and Return To Longbourn. And since I was lucky enough to get my bookplates, mine are now signed!! 4) I cannot wait to hear For Myself Alone!! I always enjoy hearing them come to life. 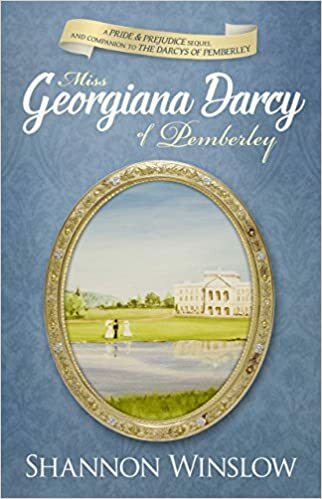 I have Darcys of Pemberely an Return To Longbourn already and cannot wait to add this one to my collection. 5) I am in the middle of reading Longbourn but I think I like Return to Longbourn better because it remind me of Mr. Rochester; that was a clever tie in. Fingers crossed you do see some of that overflow!! I too have to get back to some laundry and cleaning, so take care! Oh, Liz, you are so good for my ego! Thank your all your thoughtful comments, #1 through #5! Pingback: A Star is Born? 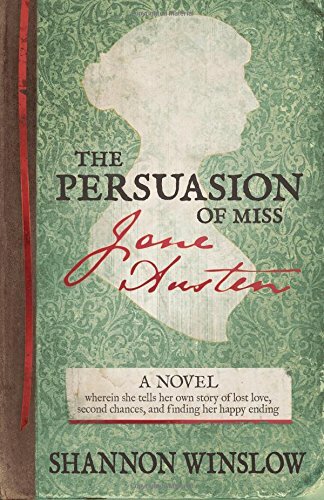 | Shannon Winslow's "Jane Austen Says…"